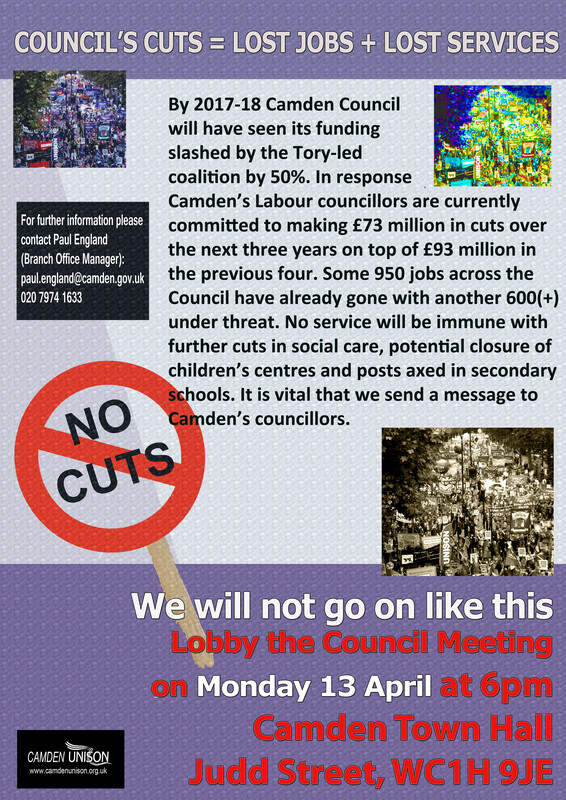 Join Camden UNISON’s lobby of the full Council meeting on Monday 13 April at 6 PM at the Judd Street entrance of the old Town Hall. Demonstrate against £73 million in cuts, 600+ job losses and compulsory redundancies. You can print the above post by clicking on it to display in your workplace or to give to colleagues. So please come to the lobby and bring your friends, family and co-workers with you. This entry was posted in Uncategorized and tagged cuts, demonstrations, LB Camden. Bookmark the permalink.